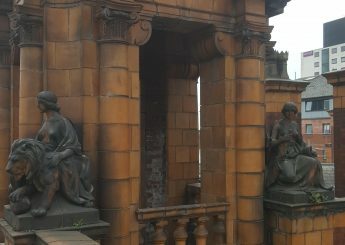 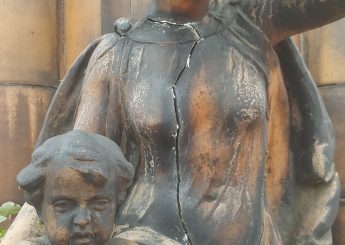 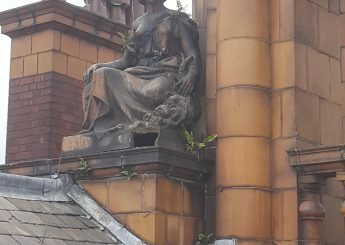 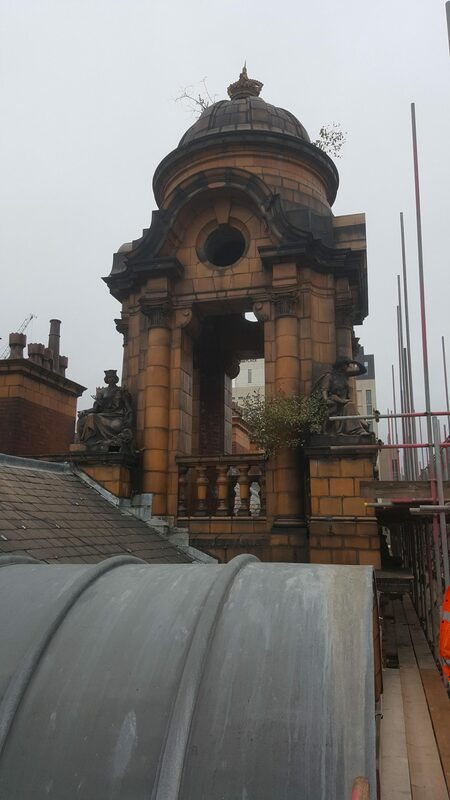 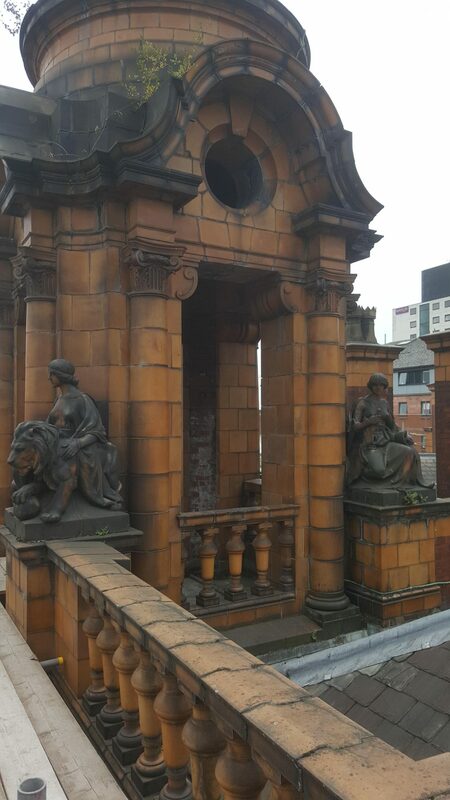 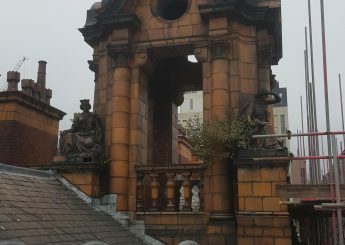 On each corner of both towers at London Road Fire Station in Manchester there are identical statues. 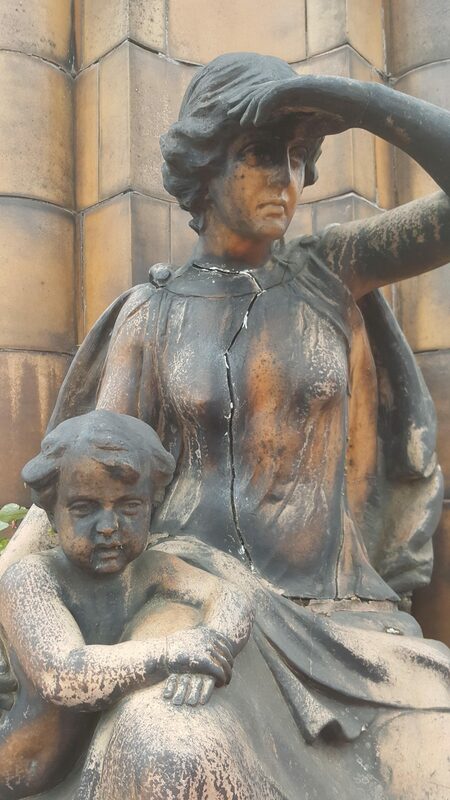 The statues represent Strength, Nurturing, Justice and Abundance. 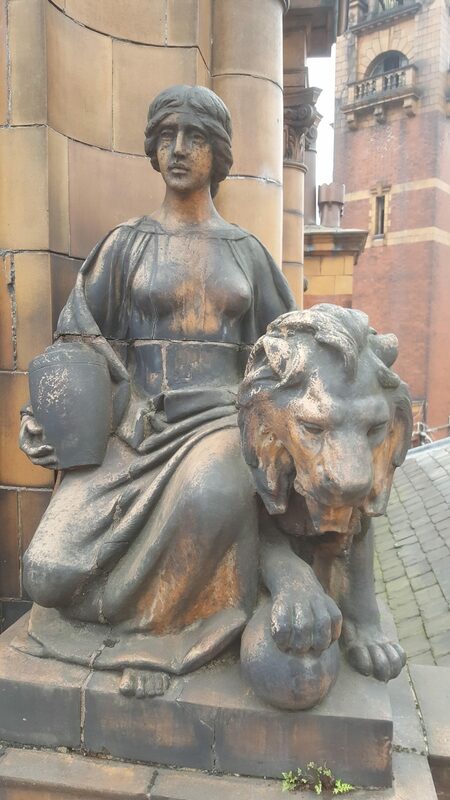 Strength – the girl sits next to a regal lion with its foot on a globe, representing the power and importance of Manchester in the world in the early 1900s. 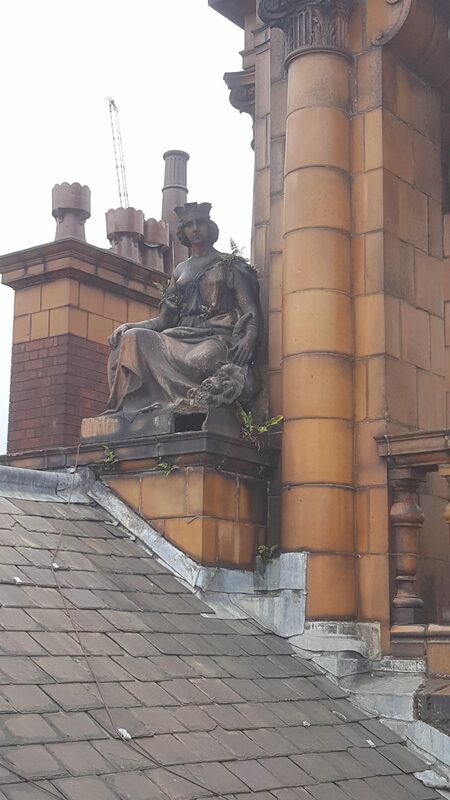 Nurturing – a mother cradles her baby and protects her eyes from the sun whilst surveying the city. 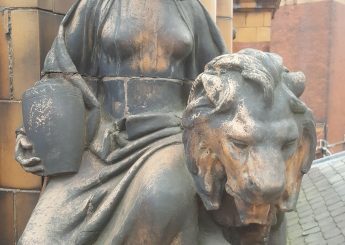 Justice – a women sits with a sword and scroll, the sword representing authority, power and justice and the scroll representing knowledge and learning.